64 pages. Illustrated in colour throughout. Paperback. Published on the occasion of the exhibition George Condo: Ink Drawings, this catalogue includes full plate images, details and foldouts of George Condo’s new works on paper. 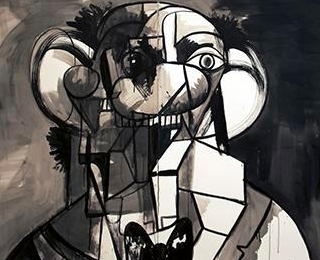 Since the beginning of his artistic career, drawing and works on paper have formed an important part of George Condo’s working practice. This exceptional series of monumental ink drawings, realised over a six-month period, marks an exciting new area of focus for Condo.